Hot Water Tanks - Enermax Mountain Manufacturing Ltd.
EM is one of the last suppliers that still offer the legendarily dependable stainless steel hot water tank. 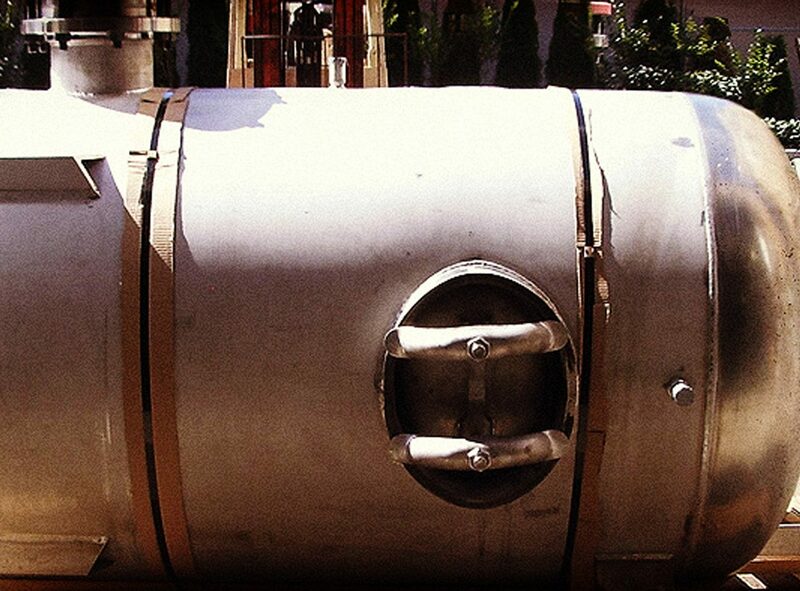 We build our custom and standard sized tanks and immersion heaters to the highest quality standards. We use no less than ¼” 304 stainless steel walls and design our vessels for 150 psi. Our clients include: hospitals, sporting arenas, public and private pools, shopping centers, large estates, as well as municipal, institution and various commercial buildings. Each hot water tank comes with a custom double walled immersion heater engineered to suit your systems specific needs. As part of our service, we ensure that every tank is duly certified by the appropriate mechanical regulatory body. In addition to our manufacturing services we also repair existing tanks and retube immersion heaters from any supplier. Since each tank is built to order they can be easily aligned in either a horizontal or vertical position based on preference or space constraints.